When is the Best Time to Buy a House in Today’s Market? The housing market continually changes; therefore, figuring out the best time of year to purchase a house is not as easy as one would think. According to Forces, most real estate professionals find themselves answering questions about timing, and even real estate seminars consider this issue to be the most popular. 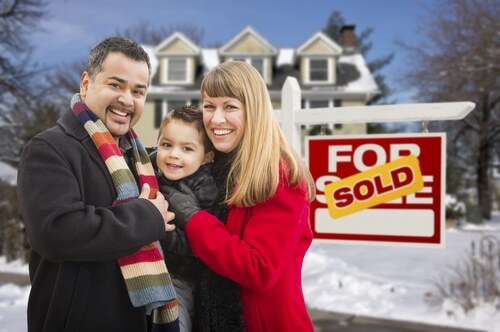 When going strictly off the seasons, it is not easy to tell when to buy a house. You may be asking yourself the question “is it a good time to buy a house?” However, there is some market data that a purchaser should consider when they want to save the most, but also have access to a larger inventory. Summer is the Most Expensive: Home prices peak in June and July. This is the high-demand housing season, where people want to purchase and move before the school year starts back up. With demand increasing and inventory decreasing, prices naturally rise. Inventory peaks in the summer too, but the competition is high. Winter Brings Lower Housing Prices: When asking if it is the right time to buy a house, a purchaser should also consider costs. If they want the best price for their new purchase, winter brings lower housing prices – about 8.45 percent less per the NerdWallet study. Sale Prices Decrease in Fall: Sale prices start to dip in autumn, but that is most likely because demand declines, too. NerdWallet’s study found that the average drop was 2.96 percent in the sale price. Note, this is the selling price, not the listing price. Therefore, buyers offered less than asking prices and sellers accepted these offers. While buyers feel confident following the seasons, they forget an important factor: how long does it take to buy a house? The length it takes to buy a home is dictated by the seller, competition, inventory, and more. However, buyers need to consider how long it could take, and if that will affect their quoted interest rate. According to Homes.com, the search process is what takes the longest. Therefore, if a buyer does not want to flow into the more expensive summer, they should account for the time it might take to find the home they want to make an offer on. Once the offer is accepted, the contract period ranges from 30 to 60 days. The average has increased based on the new guidelines of October 2015, which pushed the average to 45 days to close. Some loans may have an additional 60-day requirement, too. The time it takes to close can vary. During summer months, lenders are busy with more loan approvals. Therefore, they may take longer to underwrite a loan or sift through the paperwork. If underwriting is backed up, a loan could take longer than 60 days to complete. When a purchaser first applies for a home loan, they are given a rate lock on the interest rate. The rate lock varies from the lender, but there is a time constraint on that lock. When the expiration day strikes, the bank can increase the interest rate to the newest rate, which means the longer it takes to close, the more a buyer could pay. 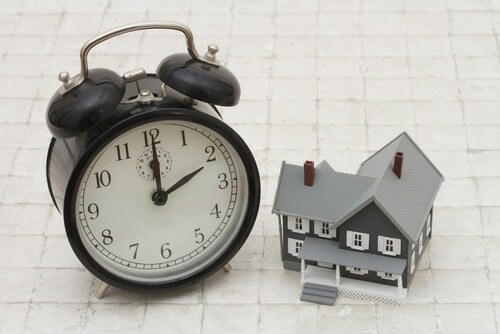 Lastly, deciding when the best time to purchase a home comes down to the customer’s comfort. Not only does a buyer need to find a home they like, but they need to consider their financial health. If they are not financially ready to purchase a home, then it would not make sense to search. Sometimes buyers have credit issues, such as too much debt to their income or a low credit score. If there are financial hold-ups, then the buyer may need to correct those issues before coming back to search. Bottom line, only a buyer can dictate the best time of the year to purchase. While they can focus on inventory, prices, and interest rates, they still need to be ready to commit to a 15-year or 30-year mortgage and the payment that comes with it.